For years at the University of Queensland, students sitting exams have been treated to the dulcet tones of invigilators: the kind retirees who ensure the safety and integrity of the examination process. 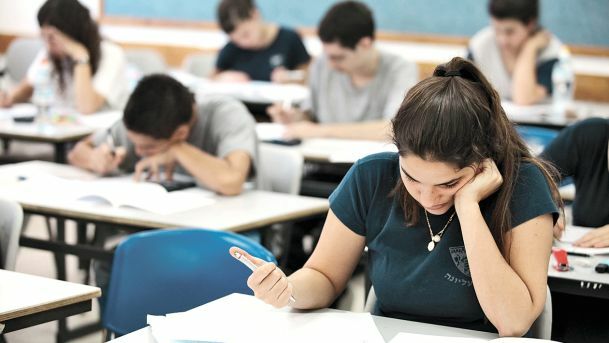 A classic warning of these invigilators is colloquially known as the ‘Misconduct Threat,’ whereby actions such as talking during the exam, using impermissible materials, or looking at another’s paper means ‘...you will be reported to your faculty, and may be charged with misconduct.’ Just a normal warning, isn’t it? Drawing some confused looks from some of the students, the invigilator now identified as Marcus Gronson (ex-forensic accountant, lives in West End, seven grandkids) continued. What was initially mild concern from the students had soon grown to a strong sense of tension. Our reports from the room indicate no-one was freaking out, but it’s not like anyone was relaxed, either. It seems like there was a vague sense of anticipation; certainly accompanied by fear, but not dominated by that fear. The invigilator was later discovered to have no employment at the University, in any way shape or form. Suspiciously, they have completely denied there even being a ‘Contracts A’ exam, and the charge of misconduct has been removed from the University rules & regulations.